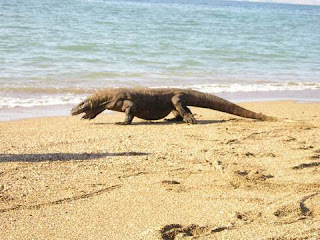 The islands of the Komodo Dragon: Rinca & Komodo Islands are part of the complex of 175 islands (about 90% unhabitant), situated 200 nautical miles east of Bali, between the islands of Flores and Sumbawa. Both above and below the sea Komodo represents a unique range of geological and biological diversity. This nomination just the only one from Indonesia which nominated in New7Wonder official organization. So, prove your love to Indonesia! Pulau Komodo sekarang dinominasikan ke dalam 7 keajaiban duania yang terbaru, jadi klik hyperlink di atas. Karena, nominasi ini satu-satunya dari Indonesia yang terdaftar di organisasi New7Wonder. Jadi, tunjukkin cintamu ke Indonesia!